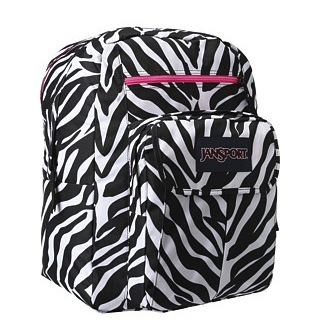 You can stuff the Zebra JanSport® Digital Student backpack with everything you’ll need to pass those classes with flying colors! Removable 15″ laptop sleeve fits into a dedicated laptop compartment. Adjustable ergonomic S-curve shoulder straps for an all day comfort. Laptop Dimensions: 15″ x 10.2″ x 1″ / 38 x 26 x 2 cm.